However, Ssebbugga-Kimeze says much as the money per credit is still less, all hope is not lost because there remains other conditions that have to be fulfilled. He says one such condition is cutting down the amount of emissions that “we are putting out” in the atmosphere, since it is probably even growing. This, he adds, can be checked through a Cap and trade system. According to the US Environmental and Protection Agency (EPA), cap and trade is an environmental policy tool that delivers results with a mandatory restriction on emissions while providing sources flexibility in how they comply. Successful cap and trade programs, EPA adds, reward innovation, efficiency, and early action and provide strict environmental accountability without inhibiting economic growth. 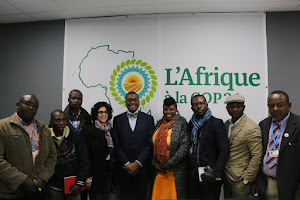 According to the Africa Carbon Forum 2013 website, it is a place to discuss the latest development in the carbon market and how the Clean Development Mechanism and other mitigation mechanisms can be successful in Africa. The Forum also includes matchmaking and deal facilitation sessions where carbon project developers can showcase their projects to investors and carbon buyers. Among other things expected at the Forum this year are, updates on recent developments in the international carbon market; information on the challenges dealing with global climate change and discussions with project developers and technical specialists from various sectors and technologies. The forum, the website highlights, will also tackle best practices and lessons learned from the implementation of Clean Development Mechanism (CDM) projects in Africa.